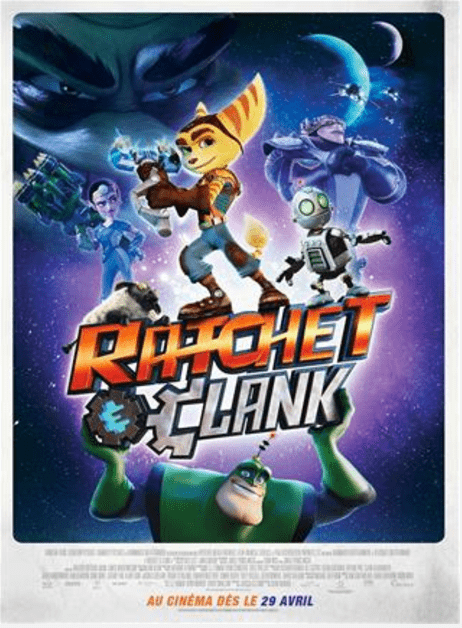 Cineplex Canada Family Favourites Promotions: Watch the Film Ratchet & Clank, Today, Saturday, January 7 at 11AM for Only $2.99! Good morning 🙂 Happy Saturday! In case you weren’t already aware, the great promotion “Family Favourite” from Cineplex Canada has been released for January, 2017 every Saturday morning at 11am! It’s a fun and affordable way to enjoy every Saturday morning with your family! Today, Saturday, January 7, 2017, watch Ratchet & Clank, the Family Favourites presentation at 11am for only $2.99! A portion of the proceeds goes towards supporting Free The Children. Today: Saturday, January 7, 2017: Ratchet and Clank. 1h 34m. Action, Science Fiction, Comedy, Animation, Adventure.